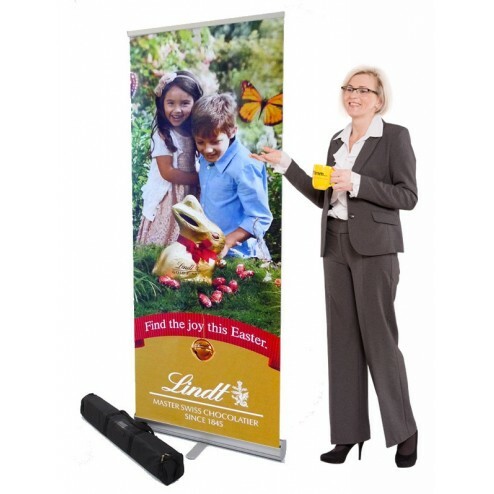 Whether you are using it for sales presentations or incorporating it into a larger display, simply take the tough cassette out of the padded case and pull out your graphics, attach them to the pole and you are done. When you have finished simply let the graphics slide back into the spring loaded pull up banner cassette. 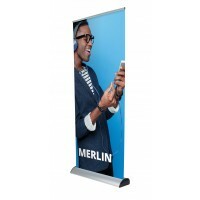 The high-quality custom printed graphics are printed onto polyester and laminated with a tough scratch resistant front. Superior Graphics: Your Eco Roller pull up banner stand will be printed in 6 colours using official HP fade resistant inks onto a banner stand quality non-curl polyester material at resolutions up to 1400dpi and then laminated with a deep crystal material to reduce glare and protect your graphic from spills and scratches. Colour printing at 1400dpi ensures that even the smallest details will get noticed. Banner Stand Design: Supply a design yourself (please see our artwork guide below) or take advantage of our in house design service with a set price design package. If you have the idea, but not the design, let us add some inspiration and create an eye-catching design that is sure to get your business noticed. 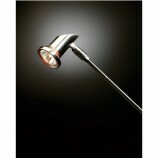 Add the design service to the cart and you will be sent a simple design brief. Once we have your images and text then our design team will be set to create an eye-catching design for you. Is there a minimum DPI? The minimum dpi to get good results is 150dpi at 100%. But don't worry we check all the artwork for quality before we print. 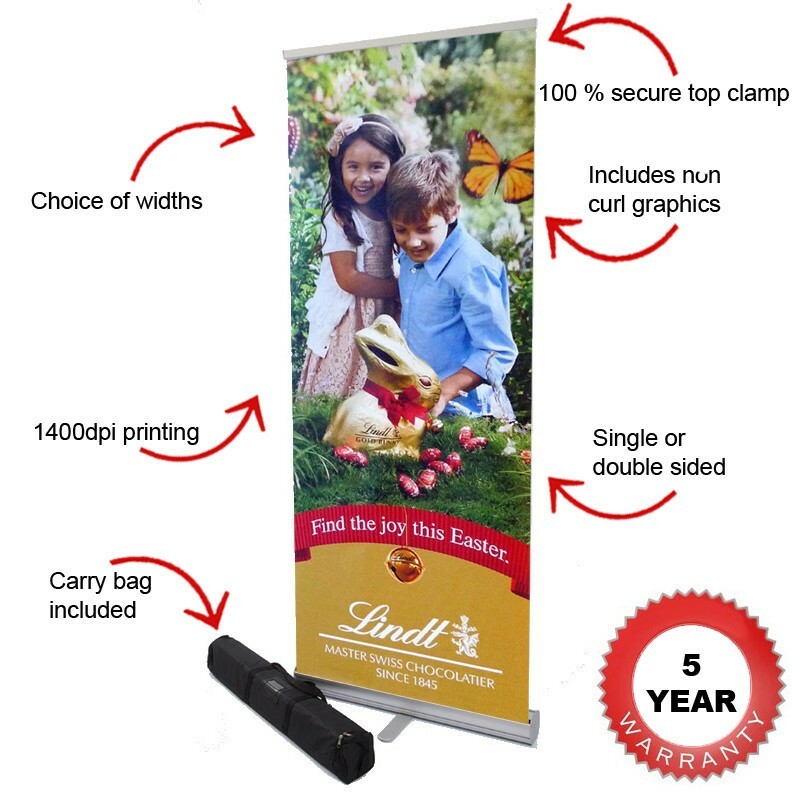 No, design is extra but we offer a very keen banner stand design service at just £10.99 or you can choose one of our banner design templates and customise it online for free. You mention a 100% secure top clamp why does that matter? 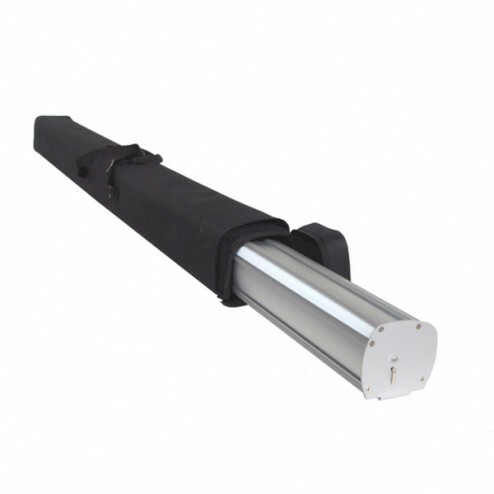 Many banner stands use self-adhesive top rails or light snap shut clamps. This can lead to failures where the banner comes away from the top bar. 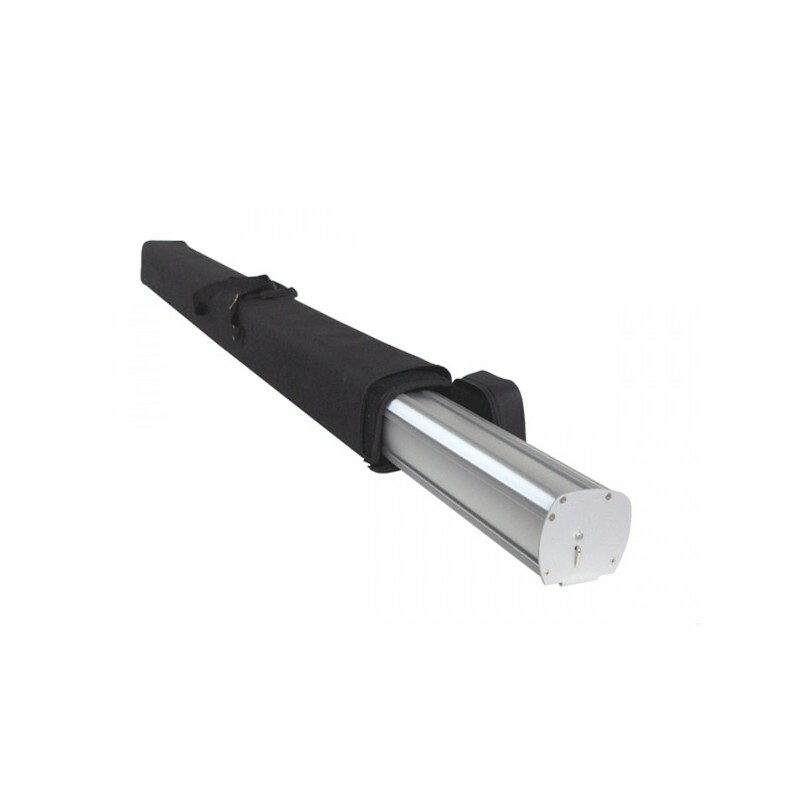 Our exclusive eco roller has an Allen key locking system making it 100% secure. This depends on which width you have chosen. You can find graphic specs on the artwork template for this product. They all I look the same online but I must say that this banner unit seems a lot sturdier than ones I have had in the past. I found the whole process easy. I have always found the device at Discount Displays to be fast and efficient. Simple efficient ordering process, great price and brilliant stand. Wouldn't hesitate to recommend. Very competent and friendly staff, excellent quality printing, delivery on schedule at a very competitive price. Nice product range I'll be back for more. 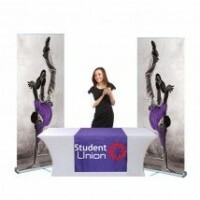 Regarding my banner & stand order: very impressed with standard of graphics, stand itself & service too. Will certainly recommend when I can and will order from them again with confidence. 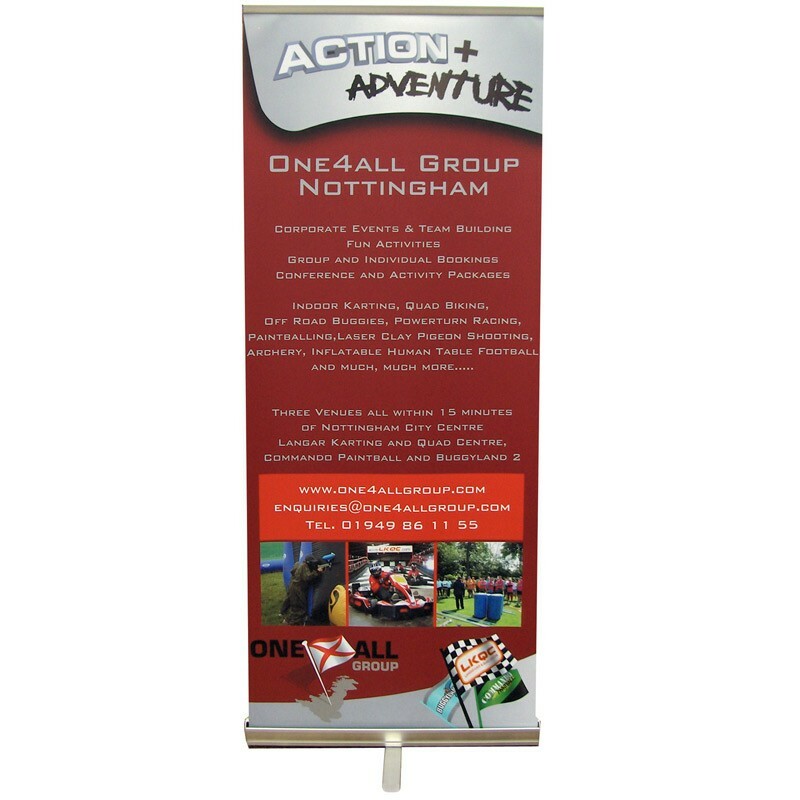 Hi, recently ordered 4 banner stands for an upcoming conference. Good quality product and graphics, arrived 3 days after ordering, which was suprisingly quick compared with past graphic purchases. The banners stands you suggest were just what we were after. I wasn't quite sure they would be as easy to use as you suggested but they were. I didn't even look at the instructions! !